I'm going to keep being petty about how the promotion for Black Panther is the exact opposite of the nearly non-existent promotion for Wonder Woman. Last year, the defense of Warner Brother’s dropping the ball was that they put out trailers and TV spots. It always skipped over that there wasn’t any real push for Wonder Woman merchandise and the only product promotion we saw for the longest time was weight loss bars. Compare that to what we’re seeing now for Black Panther. This commercial from Hasbro nearly brings tears to my eyes. They’re not just making Black Panther toys for kids but actually marketing them. I’m going to give Warner Brothers the benefit of the doubt and say they just didn’t understand the cultural significance of the character of Wonder Woman. Most heroes in comic books and film today are straight white males. When marginalized groups finally get to see characters that represent themselves on the big screen, it matters a lot. Market your characters to these groups and the payoff is always huge. Years before Black Panther ever made an appearance in the MCU, there was serious skepticism among black nerds as to whether the character would get the same attention and respect as white male characters. Many worried it would have a lower budget, be white washed and wouldn't get proper marketing push. So far, Marvel seems to be quieting those fears. Spotlighting black women, foreign press promotion & interviews, a Lexus deal, new comic books and now toys. Honestly, Black Panther is getting the Iron Man or Spider-Man treatment and it feels great. I have no doubt that Warner Brothers will learn this lesson come Wonder Woman 2. 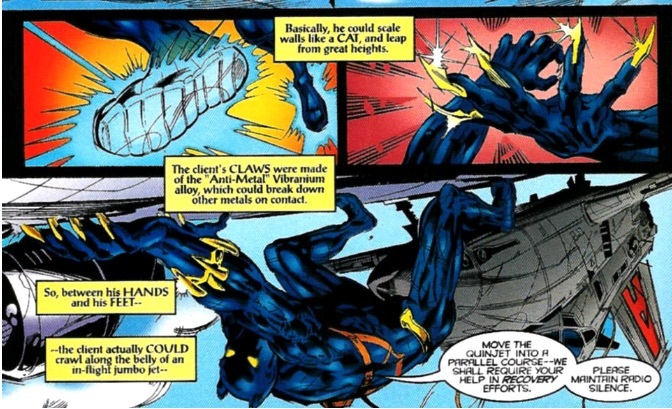 But I’m very pleased that Marvel isn’t following their footsteps and going with a full court blitz for Black Panther. Marvel is about to have little white kids running around with Black Panther masks & gauntlets and I'm here for it.